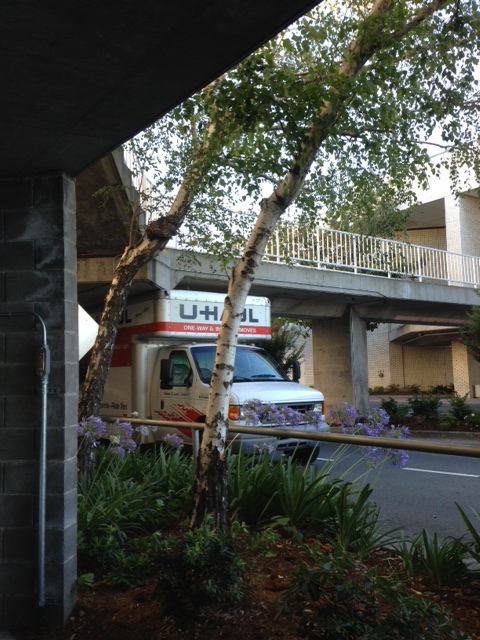 Robert in Concord sent us these pictures of a U-Haul truck that was stuck under the Sunvalley Mall bridge from the parking garage to Macy’s. Here’s what Robert had to say about the incident…. 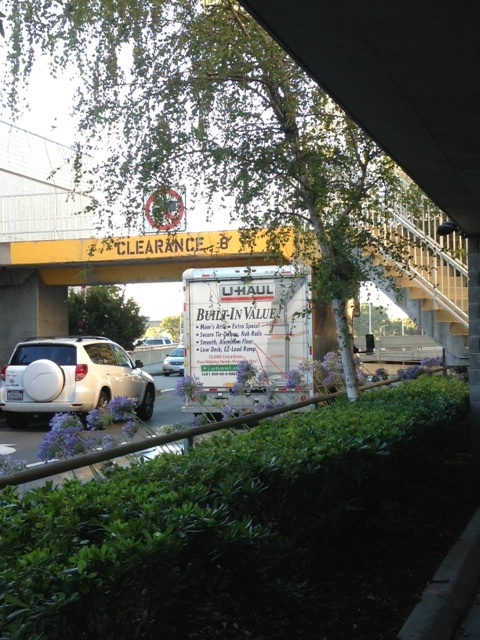 The last time I submitted something for Claycord.com, I had found a box truck trying to fit its way under the bridge at the Sunvalley Mall. Well, as luck would have it, I happen to be walking out of the Macy’s and caught it again! I guess the CLEARANCE 8′ doesn’t quite stand out as much as needed as this seems to be a yearly photo. Oops. Hope they have insurance! Thanks to Robert in Concord for the pictures! How many times has this happened now? Guess they gotta flatten the tires and back it out. Common sense, you either have it or you don’t. The problem with this bridge is that it is thicker along the middle than at the edges. The driver looks at the edge of the bridge and knows that he can fit under OK, but then he gets stuck under the middle section, where the underside of the bridge drops down another foot. It would help to add a rail along the underside of the edge of the bridge. The rail would be at the height of the lowest part of the bridge. It would let the driver know he can’t fit under. Of course, if the driver isn’t paying attention in the first place, then there’s no helping him. It happened to my parents many years ago. The air conditioning unit on top of their RV got knocked off. I used to manage a Uhaul. Let me tell you that this is one thing the optional insurance does NOT cover. Any damage done to the top of the truck is considered negligence and the renter will owe about 2-5 thousand dollars out of pocket lol. This is such a common occurence at uhaul, so much infact that we repeat this disclaimer about 5 times to the customer. That’s GREAT!! Why are some people so stupid? Big red DUH. The truck has clearance stickers all over it. DUH. Look up now and then. The mall is always at fault. That low overhanging overpass has got to go. Watch out here comes an airplane. A truck driver long time ago…they need to let air out of all 4 tires and refill on the other side. I can’t see the pics but that is how lots of guys handled it. Simple: compare the sign posted on ALL bridges with the sticker on the dashboard of ALL rental trucks. No brainer. Uhhhh…I used a work at U-Haul too and became a district manager. Insurance absolutely covers this. I don’t know where you got your information, because it is wrong. Unstick it by letting the air out of the tires… most don’t think of doing that. How many u-haul drivers know how tall the truck they are driving really is? There is a bit longer way around that doesn’t go under any overpass. Eight-feet is pretty low clearance. I can reach up and palm eight-feet on my tippy toes. …..applying the appropriate coefficients of expansion would probably reveal that the clearance had been reduced due to upward expansion of the roadway, downward expansion of the bridge, and multi-directional expansion of the truck and its tires. Wow… All the experienced truck driver’s have the same fix to this problem. Wow… oops i mean, ddduuuhhh. Oh well. At least all the truck drivers are all on the same page. Doesn’t U-Haul label the truck with the clearance measurement? Not sure if they do. 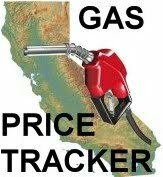 I’ve driven vehicles like that and can recall when looking at my driver’s side view mirror, I’ve seen the clearance labeled on the vehicle, just behind the cab. Labeled backwards so you can read it in the mirror. Give me a gallon of KY Jelly & I can get anything unstuck. When did you work there? We never covered damage to moms attic. I have had several customers that we have charged for such damage. How do you know that he isn’t delivering that bridge? This is the type of weather when you’d rather hit a hydrant. This happened to a volunteer band parent driver of a rented truck vs. school solar panels. Truck company insurance specifically did not cover damage to the top of the box. Not sure of the final resolution. I used to drive a 22′ Bobtail truck in San Francisco for a courier company. I was always well aware of my surroundings. But we are talking about someone who did this on a daily basis, vs someone who needed a truck to pick up a new bed from the mall (or something like that) who doesn’t think about those things. Either get rid of the bridge completely or build a new one. I can’t believe nobody has mentioned letting the air out of the tires. Would be super funny, if it was the same person that did it both times. I remember a story from decades ago where this happened in a very narrow underpass, on the main drag of a small Oregon town. (Except with a big rig). Anyway, here’s the driver, emergency personnel, highway dept engineers, tow truck guys, etc… standing around scratching their heads trying to figure out what to do. A seven year old boy walks up, looks at the truck, looks up at the bridge, looks back at the truck and says… “why don’t you just let the air out of the tires?” At which point the proverbial light bulb went on, with all these experienced adults… HA! It worked and there was only minor damage to the bridge and the truck. Good thing about the bridge aspect, was they didn’t have to close the road long, while it was inspected and repaired.